We all occasionally suffer a guilty conscience about those languishing ingredients that stay untouched in the fridge or cupboard for days: the bendy carrots, the wilting salad, the foil-wrapped roast chicken, the rock-like bread and that little nugget of Cheddar. 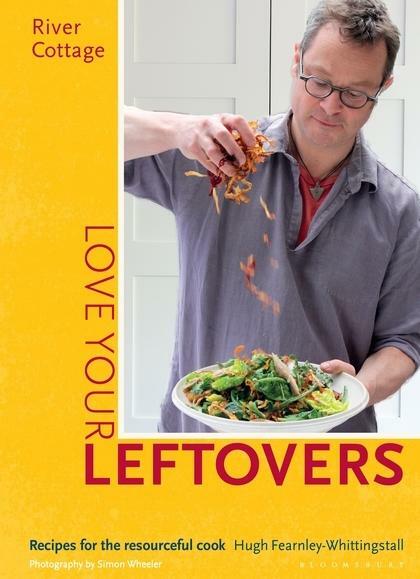 In this new pocket bible, Hugh Fearnley-Whittingstall offers nifty and creative ideas to transform leftovers into irresistible meals. Hugh starts by giving practical advice for cooking on a weekly basis with leftovers in mind - helping to save money and avoid waste - and provides tips on how best to store your ingredients to make them last for as long as possible. Hugh then gives handy recipe templates that can be applied to all kinds of leftover ingredients, and provides simple and flexible recipes. He shows, for instance, how you can transform leftover meat into Chilli beef noodles, Stew enchiladas, Spicy chicken salad with peanut butter dressing; surplus root vegetables into Roast root hummus, Quick lentil and parsnip curry and Beetroot and caraway seed cake; spare eggs into Hazelnut remoulade and easy Macarons. He also gives ingenious ideas for Christmas leftovers, shows how to assemble a delicious meal in under ten minutes, and how to make simple store-cupboard suppers. With more than 100 recipes, gorgeous photographs and illustrations, this is the ultimate companion for everyone’s kitchen - and you’ll never be bored of leftovers again.